Police Investigation Book in Tamil – Powers, Tactics and Techniques” Volume 1 & 2 together constitute a single book. Police Investigation Book is regarded as a bible by Police Officers, Advocates and Law Officers. 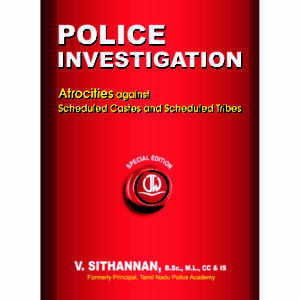 Be the first to review “In Tamil – Police Investigation – Powers, Tactics and Techniques Volume 1 & 2” Click here to cancel reply.